Bloodshot #1 4 6 VF-NM 1st Ninjak Barry Smith Chromium cover 1993 Valiant Movie! BLOODSHOT #0,1-21 (1993) VALIANT COMICS 1ST APPEARANCE NINJAK #6 & 7 MOVIE! WOW! 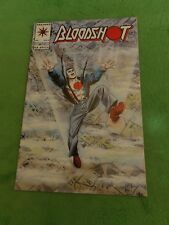 Bloodshot #7 (1993, Valiant) VF/NM 1st Full Appearance of Ninjak! 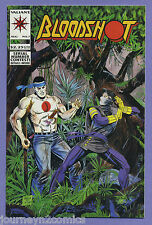 BLOODSHOT #6 1993 1ST NINJAK COLIN KING NICE NEAR MINT COMIC!!! SECRET WEAPONS #1-10 (1993) VALIANT COMICS FULL RUN OF 10! BLOODSHOT! NINJAK! This page was last updated: 21-Apr 18:14. Number of bids and bid amounts may be slightly out of date. See each listing for international shipping options and costs.